Mulatu Astatke (born 1943) is an Ethiopian musician and arranger best known as the father of Ethio-jazz. Born in the western Ethiopian city of Jimma, Mulatu trained in London, New York City, and Boston where he combined his jazz and Latin music interests with traditional Ethiopian music and became the first African student to enroll at Boston’s prestigious Berklee College of Music from where he received an honourary degree in 2012. 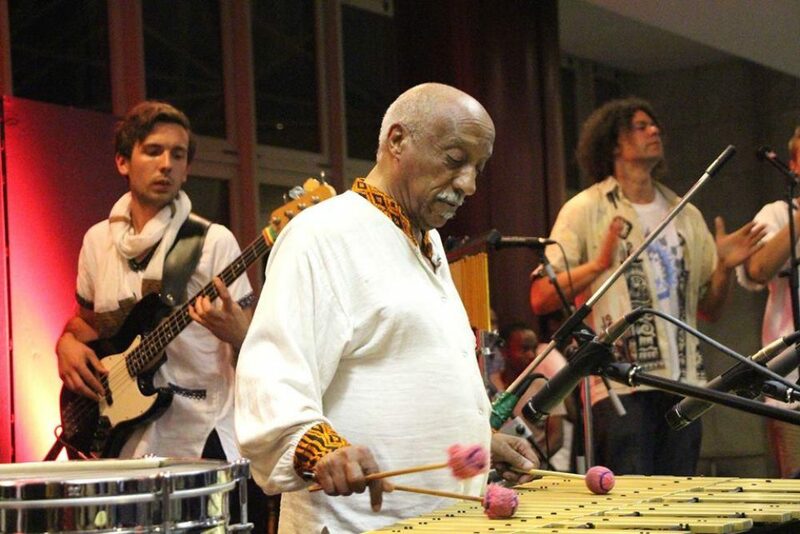 Astatke led his band while playing vibraphone and conga drums—instruments that he introduced into Ethiopian popular music— other percussion instruments, keyboards and organ. His albums focus primarily on instrumental music, and Astatke appears on all three known albums of instrumentals that were released during Ethiopia’s Golden ’70s. He collaborated with many notable artists in both countries, arranging and playing on recordings by Mahmoud Ahmed, and appearing as a special guest with Duke Ellington during a tour of Ethiopia in 1973. His Western audience expanded even further when the 2005 Jim Jarmusch film Broken Flowers featured seven of Astatke’s songs. Hip hop artists have also sampled Astatke’s songs extensively, for example in the works of Nas, Damian Marley, Kanye West, Cut Chemist, and Knaan. He toured with US band Either/ Orchestra in 2006 and in 2008 recorded an album with the Heliocentrics and completed a Radcliffe Institute Fellowship at Harvard University, where he worked on modernizations of traditional Ethiopian instruments and premiered a portion of a new opera, The Yared Opera.